Tree Beer Month is all about Grand Rapids Trees and Grand Rapids Beer! 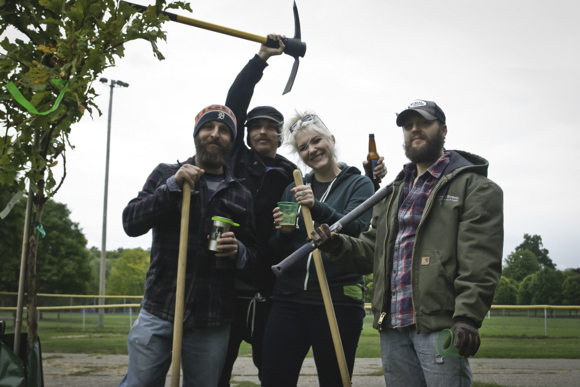 The Brewers Grove project started in 2013 when local brewers asked Friends of Grand Rapids Parks (FGRP) how they could celebrate being named Beer City USA by giving back to our parks and public spaces. And the idea was seeded to create tree-themed beers that would be offered for a limited time with proceeds going directly to FGRP’s Urban Forest Project and tree plantings. Since 2013, a Brewers Grove of 100 trees has been planted at two City parks! This year the tree-themed beer will be celebrated during Experience GR’s Beer Month GR from Feb. 15th – March 15th! A Kick-Off Tree Beer Tap-Takeover will be held at Harmony Brewing Co. on Wednesday, Feb. 15 beginning at 6:00 P.M., where the public and media are welcome to toast to the success of Brewers Grove with several local craft beers on tap. Another Tap-Takeover will be held at B.O.B’s Brewery on March 2nd beginning at 6:00 P.M., the public and media are also welcome to join tree beer enthusiasts and contribute to the tree beer fund. As far north as Cedar Springs and as far west as Hudsonville, Friends of Grand Rapids Parks and the Beer City Brewers Guild are encouraging beer enthusiasts across West Michigan to visit all of the participating tree beer breweries. More details on which breweries will be brewing and serving tree beers is available now on the www.brewersgrove.com website! 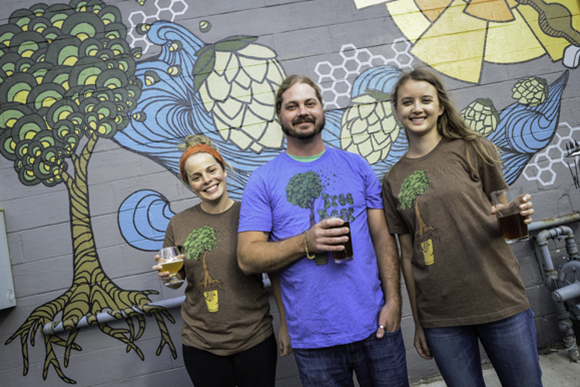 Tree Beer shirts are also available for purchase at the Friends of Grand Rapids Parks office. 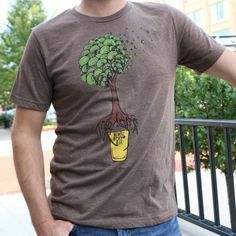 Made with environmentally friendly materials and ink all sales from these shirts go toward supporting the Brewers Grove Project. The shirt features the Brewers Grove logo, designed by local Grand Rapids Artist Erica Lang of Woosah Outfitters.